Robert Carsen doesn’t seem disposed to treat Handel too reverentially. 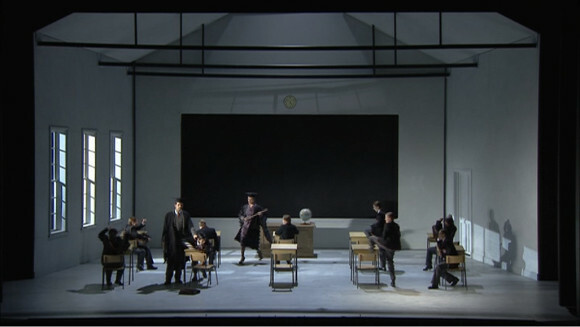 Although there is some of the trademark Carsen cool minimalism in his 2011 Glyndebourne production of Rinaldo (not to mention symmetrically arranged furniture) there’s also a degree of humour, as there is in his Zürich Semele. I find it very effective and, judging by the audience reaction, so did the people who saw it at Glyndebourne.